This week we hear from Russ Jackson, Vice President of the United Rail Passenger Alliance. Russ is a retired California college instructor, former RailPAC officer and editor, and is now living near Dallas, Texas. And, what they still need is more cars! That was then: Forty years is a long time. In this report let us first take a look at where the Western long distance trains started for Amtrak, and then look at today. Charting will be for two trains that were in the Amtrak official timetable #1 for May 1, 1971, which was quickly replaced with a new one on July 12 (to view this timetable see: http://www.timetables.org/browse/?group=19710712r&st=0001); then, the May, 1991 national timetable which was in effect when this writer became editor of RailPAC’s Western Rail Passenger Review; and then we do a comparison of those past schedules with the 40th anniversary 2011 national system timetable which is available now at all Amtrak-staffed stations. We all know what the problem with this train has been and continues to be: Tri-weekly (also said as tri-weakly) service from day one, thanks to the inherited schedule from the Southern Pacific, and it continues to run today with nearly full loads despite the very bad schedule. *NOTE: In 2011 the trains do not go through Phoenix, a major city now without train service, and there are generous amounts of built-in recovery times throughout the route. In 1971, the schedule called for Yuma to Tucson via Phoenix to be 6 hours; in 1991, 6-1/2 hours; in 2011, 4-3/4 hours via Maricopa. If Phoenix were still on the schedule, an hour and a half would have to be added to the 2011 schedule. In 1971 timetable #1, this train had numbers 17 and 18 and was named “Super Chief-El Capitan,” continuing its inherited Santa Fe tradition. * NOTE: In 1971, the train did not go via Topeka, KS, which adds one hour to the schedule. While running times and scheduled departures have remained fairly consistent for these trains, for others they has been all over the map. Several interesting changes from 1971: Then, the Coast Starlight was the first west coast train to travel from Seattle to, first, San Diego. It ran tri-weekly north of Oakland and from Los Angeles to San Diego, but daily from Oakland to Los Angeles. In 1971 there were only two daily round-trip San Diegans between Los Angeles and San Diego; no San Joaquins, and no Capitols. Originally, the California Zephyr was scheduled to travel its current route, but when the D&RGW railroad decided to opt out of Amtrak, it ran via Wyoming, and operated daily from Chicago to Denver but tri-weekly between Denver and Oakland. The Empire Builder did not have a Portland section, and crossed the Cascades in Washington going via Yakima instead of Wenatchee. All this was accomplished using low-level cars and locomotives that were 20 years old and operating crews inherited from the freight railroads. This is now: In the July, 2011 issue of Trains magazine, writer Bob Johnston has written a review of Amtrak’s past, dividing its history into five sections and comparing “then” to “now.” For example, section one, “Wake-up call,” says “Then: equipment had to be ordered and funded.” Sadly, “Now: equipment has to be ordered and funded.” While that is important for all parts of the system, including the Northeast Corridor, Amtrak has neglected its long distance trains badly. In his presentation to the RailPAC-NARP meeting in March, 2011, Minnesota’s Andrew C. Selden said, “Amtrak has made no significant investment in its long distance services in 20 years, and now plans only to replace its Superliner I cars, not to grow its long distance fleet or network.” Mr. Selden’s comments and data explaining all this were published in the May-June issue of the RailPAC newsletter. We must add a caution written by Mr. Selden to us, that it “will take hundreds of new cars–effectively deployed in high revenue services–to get to break-even. But, local wisdom in St. Paul is that there never will be a fourth sleeper on the Builder because the diner is swamped as it is and they couldn’t feed another carload of passengers. Personal observation is that they’re right. The diner in mid-summer (i.e., for the four peak months) is dreadful in terms of regimentation and rushed service, and stress on an understaffed crew.” After a trip on the Empire Builder, where he is a National Park Service volunteer in the Rails-Trails program, narrating the trip between Minneapolis and Wisconsin Dells, Mr. Selden wrote that “All three sleepers were all but sold out on both trains and would be sold out west of Minneapolis. Coaches were about 2/3 occupied so statistically sold-out due to down-line sales.” And this on a train that has had many on-time problems this winter and spring. RailPAC Vice President-South James Smith returned from a round trip on the Southwest Chief from Los Angeles to Chicago and reported the same sold-out condition in May, before the official travel season begins. People want to ride… Something must be done for these western trains, besides just replacing cars one-for-one, if Amtrak really wants to grow financially and calm the criticism thrown at it. Or does it? The last few years have been pretty tough for transit agencies around the nation. Because of the extended recession many transit agencies have had to cut service and raise fares. This can be especially hard for the transit dependent and low income folks, but the fact of the matter is, any organization has a budget it has to work with. You can complain all you want about salaries, where capital is being spent, or whatever other whipping post people like to complain about. IF we lived in a perfect world, transit systems would be able to use their emergency funds to cover operations during a recessionary period. Some of you may be asking what exactly is an emergency fund: it is exactly what it sounds like, a fund to protect against emergencies. Smart financial planners tell not only individuals but also businesses to have three to preferably six months of expenses set aside for emergencies such as recessions, lay offs, etc. Of course only a small percentage of the population actually keeps an emergency fund. Maybe that's what so many are bitterly opposed to government agencies of any kind to have emergency funds. In Oregon, instead of saving money for slow periods, the money goes back to the taxpayers. Some lawmakers this year tried to promote the idea of keeping some of that money for emergencies but most would not go for it probably considering it political suicide in today's environment. 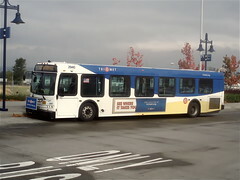 A perfect example of a agency that was attacked severely for building up an emergency fund was the Spokane Transit Authority. Because of efficient operations the agency started to build up a nest egg but came under fierce attack. It should be pointed out that some transit agencies did not help their own cause but being overly optimistic when it came to financial projections. One agency required 6% annual economic growth to maintain their existing services. Depending on overly optimistic economic projects was a one way trip to disaster. Hopefully we will learn a couple of things from this recession. First, revenue projects need to be realistic and a agency cannot depend on continually economic growth to keep existing services running as is. Second, that emergency funds is something that not only individuals need but it also makes since for businesses and government agencies to be prepared for raining days. With the same assurance as the sun setting in the West, once again all of Amtrak’s perpetual financial woes are blamed on its long-distance trains. Passenger rail ridership is up, of this there may be no doubt. Using the rudimentary yet flawed number of “riders,” Amtrak carried 28.7 million people in fiscal year 2010. This year should be even higher. Of course, now-a-days Amtrak never discusses “passenger miles” or “revenue per passenger mile” but this was not always the case. Even so, when questioned by Congress as to why increasing “ridership” did not correlate to a drop in losses, the standard chestnut was brought out one more time, “It’s the long-distance trains,” said Amtrak President Joe Boardman. “They’re all unprofitable.” Oh, really? We have all heard this before, but how long will this broken record continue to play? For many, the long-distance trains are the perceived final connection to an earlier era. Many a parent has packed up his family for an overnight trip with the proud exclamation, “We’re going to ‘Travel in Pullman Safety and Comfort’ like our grandparents did.” Obviously, there are no more open sections or drawing rooms. If there is an observation car it is privately owned. Oh, and when was the last time someone shined your shoes for you whilst you slept? Today’s long-distance train is a mere shadow of the former glory that once was the grand conveyance. Whereas average citizens could not afford fine linens, china, and silver service, these were commonplace for all who frequented the dining car; it was their chance to live like royalty, if only for a few hundred miles. Do today’s trains even come close to emulating such an emotion? Alas, such only exists for those who remember when, or who have studied the subject. Things behind the scenes have changed, as well. Even into the early Amtrak days, long-distance reservations still used the old tried-and-true drum system. Dozens of agents sat around a rotating metal carousel with compartments containing train accommodation diagrams, while talking to customers or agents by phone. Today all of this is computerized. The ragtag collection of locomotives and rolling stock has been replaced by standard designs. Locomotive fuel economy has never been higher. Steam heating has been replaced by electric. Operating crew districts are no longer 100 miles. Bases for maintenance have been consolidated and centralized. Yet with all of these changes, which should have led to better economies, the long-distance trains still “lose money.” How can this be? Mr. Claytor understood that the true measure of output is “passenger-miles” and revenue per passenger-mile, not the mere number of tickets sold. Tickets sold is the measure of the number of transactions, but ten $1 tickets are not as valuable as one $20 ticket. To this end, it must be noted that during the last five years the long-distance trains have averaged a growth rate of 3.7 percent, with no years of negative growth; something not even the regional or corridor trains can claim. Even more surprising is that the LD trains showed any growth at all, since they were statistically almost sold-out to begin with, and over the last 15 years (post-Claytor), their aggregate capacity (measured in “available seat miles” or even just “car miles”) has declined. This is growth in a product line defined as distance of 750 miles or greater on trains that have not seen any additional equipment in over a decade. Even so, this growth in patronage should correlate to higher revenue. What went wrong? Mr. Claytor’s “first priority” fell by the wayside after his passing. Instead, focus shifted and intensified on the corporation-owned Northeast Corridor (NEC). This would culminate in the extension of electrification from New Haven, Connecticut to Boston and the notorious Acela trainsets. While these are demonstrative improvements in infrastructure and passenger amenities, it is still a short corridor, and as such offers limited potential for passenger-mile revenue growth. While total NEC ridership has grown, Amtrak’s overall market share has declined sharply, and is less than 1.5%; all of this is hardly enough to offset the costs of infrastructure maintenance, and the high maintenance and power consumption of the Acela trainsets. Today’s weary chant of “the long-distance passenger trains are a money drain” is nothing more than a continuation of the "junk science" formulated over 50 years ago by those lobbying for their own agendas. The public at large blithely accepted that junk science as fact, since passenger trains, for the most part, were not germane to everyday life. As growth in passenger rail with long-distance trains, in particular, has shown, junk science no longer cuts the mustard for today's savvy travelers. Amtrak had better find a new mantra. Recently, someone was nice enough to publicly post a picture of a train gate at Chicago Union Station from 1964, showing the makeup of that day’s South Wind: http://www.rrpicturearchives.net/showPicture.aspx?id=2487104 Even at this late date, seven years before Amtrak, notice there are eight sleeping cars assigned to this train along with five coaches. On today’s trains, if the number of sleepers is equal to the coaches, it is a miracle; in the East, the sleepers are outnumbered by coaches. Moreover, Amtrak does not have an adequate supply of spare equipment to increase train length to match fluctuating demand. If Amtrak had kept the proper ratio, at least the income from the First Class section of the train would still be the same as 35 years ago. Is it rational to expect Amtrak to provide “First Class” amenities? Does Amtrak really provide a First Class Service? Is the provision of a mattress enough to be classified as “First Class?” If so, try to remember that, the next time Motel 6 leaves the light on for you. Even though Graham Claytor believed it was possible, perhaps Amtrak is not capable of providing the equipment, let alone the proper business acumen/model for overnight service. It should be remembered that for most of the history of American passenger railroading, overnight rolling stock, sleepers, and diners were provided by a third party: The Pullman Company. Pullman was a private enterprise employed by the private railroads to provide a service. For most of its life, Pullman made money. Relieving Amtrak of this chore should allow it to concentrate on its core business; the equivalent of buses on rails. Six weeks from today I will be moving to Portland, Oregon so the next few weeks are going to be very crazy for me. I have several posts in the pipeline and will finish as time allows. Meanwhile here is some links that I hope you find interesting and will try to get some more in depth articles out soon. Can a Streetcar cost less than a Faux Trolley? Where Is the Good Government We Need?